This post was first published by My London on 11/03/2019. In Ealing there were 5,195 potholes reported, while in Kensington and Chelsea there were only 35. Potholes cause fear for all drivers. You spot one at the last second but it is too late to dodge it and you squirm as you anticipate how loud a “thud” there will be as your car hit it. Whether you’re a driver worried about the damage they might cause to your car, or a resident concerned about the state of your road, potholes are simply a nuisance. And figures released on Monday (March 11) show just how many have been annoying Londoners. Staggeringly, there were more than 49,000 potholes reported to local authorities between the start of December 2017 and end of November 2018 – which is a 33% increase on the year before (37,104). 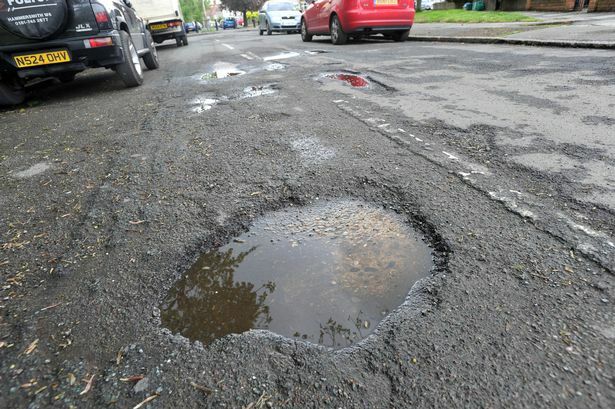 A Freedom of Information (FOI) request made by law firm JMW Solicitors also shows that the number of reported potholes in some boroughs has increased by up to 172% over the same period. Boroughs with the largest percentage increase in reported potholes include Redbridge (+172%), Islington (+151%), Harrow (+116%), and the combined borough of Richmond and Wandsworth (+100%). The top three worst affected boroughs for potholes reported in the period were Ealing (5,195), Lewisham (4,698) and Croydon (3,791). In the same time period, Kensington and Chelsea received just 35 pothole complaints. Hammersmith and Fulham was the only borough to see an improvement in the number of reported potholes when comparing years, with the number dropping by 37% from 359 to 225. No information was made available for Barking and Dagenham, Havering, Hillingdon and Lambeth. Paul Breen, partner at JMW and head of catastrophic injury, believes potholes pose a serious risk to life to motorcyclist and cyclists. “Potholes can cause serious, life-altering injuries to road users, in particular cyclists and motorcyclists,” said Mr Breen. “It is vital that these road defects are repaired to allow these road users a smooth commute. “Unlike motorists, cyclists and motorcyclists coming across a pothole cannot simply go through it as this will most likely force the rider off their bike. However, they also cannot always just swerve around them in case they find themselves in the path of traffic. He added: “Councils should be conducting regular checks to identify any potential hazards and ensure any defects are repaired within a reasonable amount of time. How many potholes were reported in your borough?